Even-though End-User Computing and virtualization/automation until know haven’t met the expectation of the technology-enthusiasts (‘201X is the year of #VDI’) it has matured a lot within the last years. 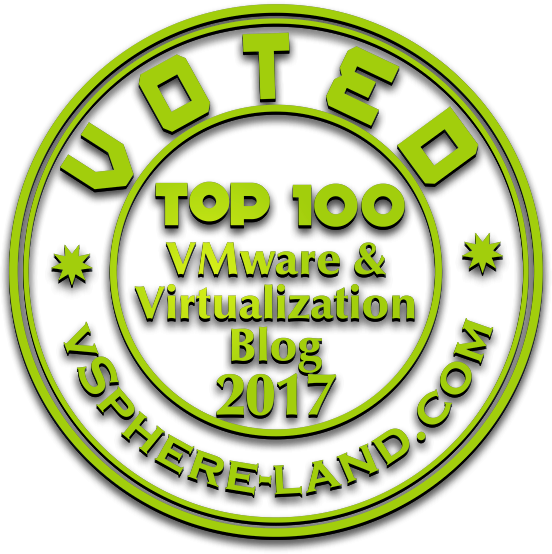 Since the beginning of the year VMware’s log-analyzing tool vRealize Log Insight (vRLI) has been bundled to every vCenter-license (25 Operating System Instances – OSI). vRLI is therefore a great opportunity to pro-active monitor log-files of all relevant Horizon components if you have smaller environment you can ‘for free’ (with no additional costs to be more specific). The hypervisor has become a rock-solid stable product used as a platform for virtual machines and therefore virtual desktops. But the #EUC stack in VMware’s portfolio called #Horizon is creating new layers of components on top of the vSphere stack. So what is important to deliver a great EUC experience and directly increase the outcome of a company generating a lot of its profit out of desktop applications? Horizon View projects rise and fall with the quality of the above mentioned criteria. Especially during transitions from classical desktops to virtual desktops every lack of those criteria will have a negative impact on the user’s acceptance and therefore on the success of the VDI project. Therefore we as VDI architects and consultants develop solutions based on approved methodologies (Use-cases, conceptual & logical design) and set them up in a production environment with concrete products and configurations (physical design & implementation). Check out the generic VDI operations model I created multiple years ago. Log Insight is a great tool to increase the reliability and the availability of a system by pro-actively monitoring the log-files of our components. The important thing with operational support solution is not the features it has out-of-the box. The possibility to align such a solution to a specific customers’ environment is where the real power is. Both characteristics can be served by vRealize Log Insight. Why is it so important to analyze the log-files? Log-files are one way how the system components try to communicate with the administrators. We use them very often, but mostly when something already got happened. No one of us gets the time to proactively check the log files. Unfortunately many problems & messages can indicate an upcoming problem at an early stage. Log Insight can alert us in case of the following. VMKernel warnings within the ESXi based on driver issues not yet having an impact. vCenter VPXD error messages about database problems or long SQL execution statements. Known issues of solution that are not fixed yet and the only workaround is a check of the log-file followed by a manual action. vRealize Log Insight can be used for 25 OSI per vCenter without additional costs and it is very fast and easily installed. Download the Appliance, Deploy it with the common parameters. And voila. That’s it. agent based: Agents can be downloaded from within the vRLI administrator. The agent defines which log-files are sent-over (compressed / queued) and how the data is serialized. vRLI Agents are available for most common Operating systems. So let’s take an example Horizon environment for up to 500-1000 Desktops. With such a setup you are able to deliver a rock-solid EUC experience using the included 25 OSI licenses. If you need more licenses, no problem at all: just purchase them. From my practical experience so far I would always recommend to implement vRealize Log Insight and integrate it with vRealize Operations (more on that topic in another blog post). The cost are relatively low, the benefit can be huge -> Go get it.